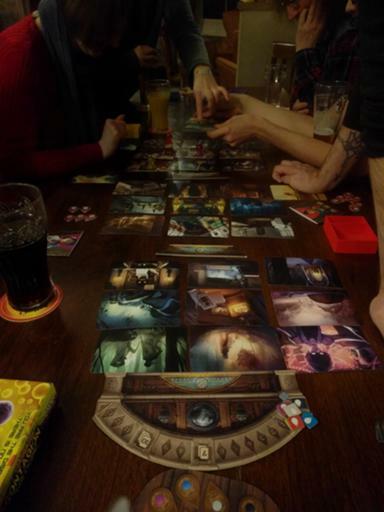 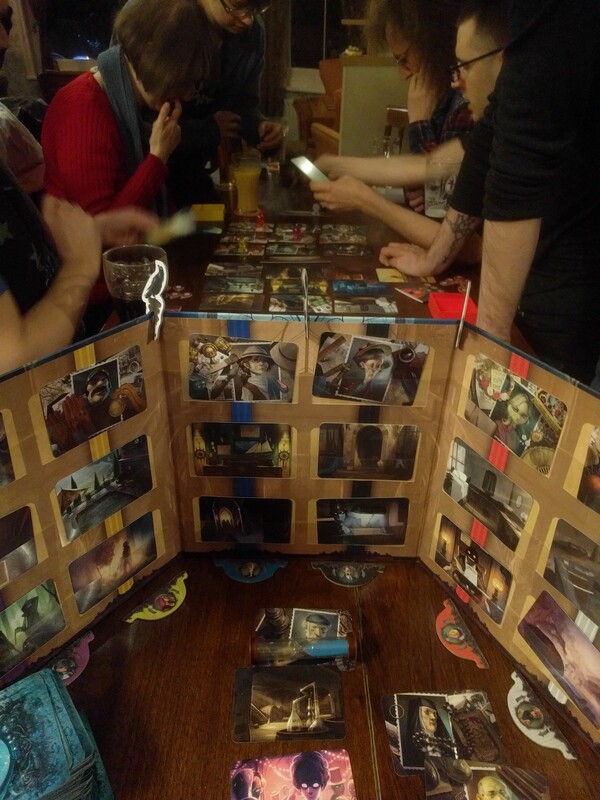 We started with seven-player Mysterium, then another player turned up so I bodged things to make it work with eight. This went surprisingly well, with five out of seven mystics making it to the end in time – even playing with the "circumstances" cards as the final stage rather than the usual "objects". Codenames next, with a dismal loss for Team Good Guys (i.e. 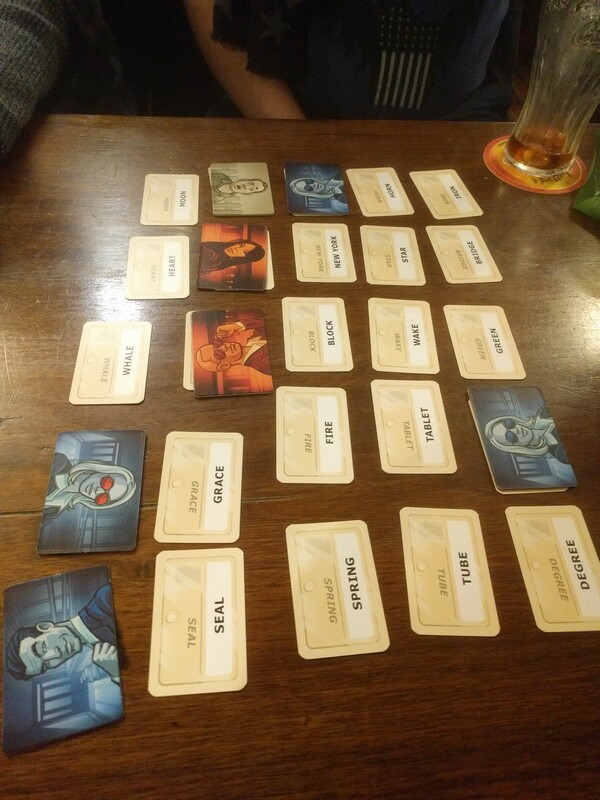 my team) in the first game, and a satisfying victory in the second. 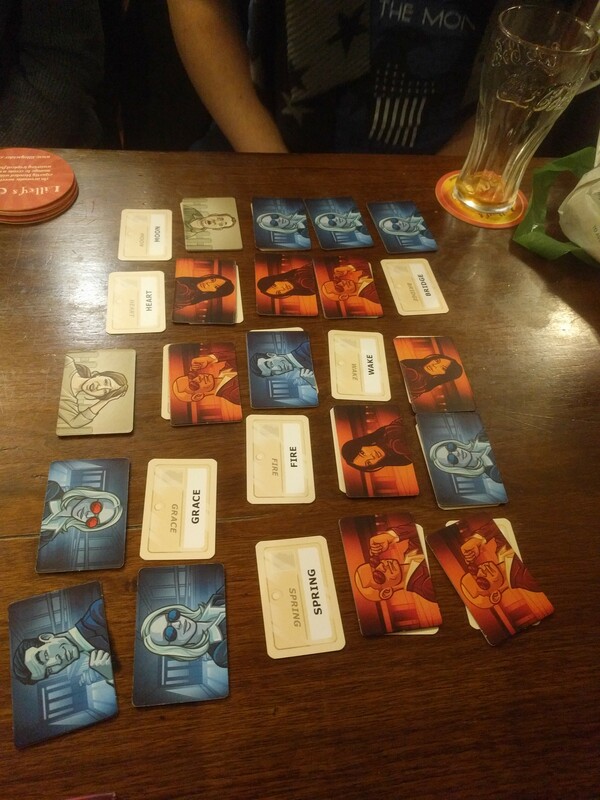 As the pub was closing, some of us played a very quick few rounds of Concept while the rest packed up. 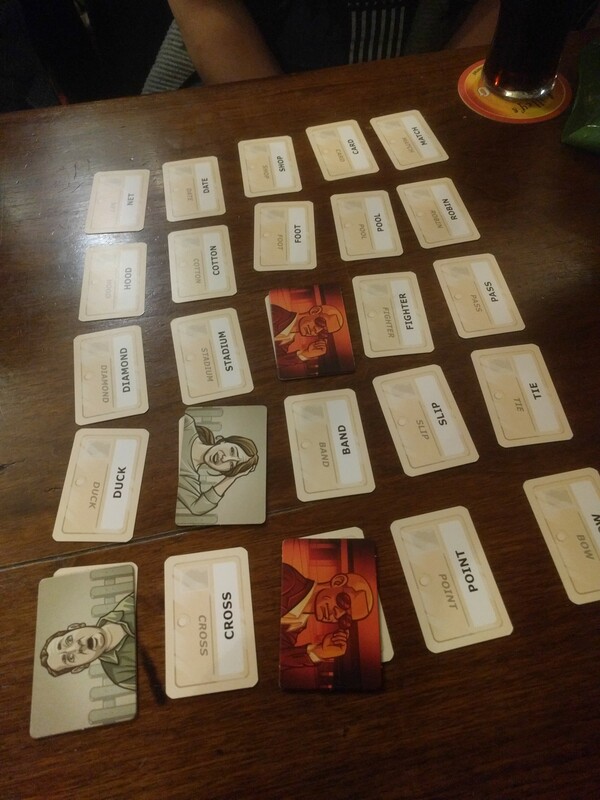 [Buy Mysterium at Amazon] [Buy Codenames at Amazon] [Buy Concept at Amazon] and help support the blog.